Drug addiction takes control of your life, we can help you regain your life back, free from the obsession to use drugs. Are you abusing drugs and thinking about drug rehab? Drug addiction is a pathological or abnormal condition which arises due to frequent drug use. The disorder of addiction involves the progression of recreational drug use to the development of drug-seeking behaviour, vulnerability to relapse, and a gradual decrease in the drug user’s ability to respond to naturally rewarding stimuli. The Diagnostic and Statistical Manual of Mental Disorder (DSM-IV) has categorized three stages of addiction: preoccupation / anticipation, binge / intoxication and withdrawal / negative effect. These stages are characterized by constant cravings and preoccupation with obtaining the substance; using more of the substance(s) than necessary to experience the intoxicating effects; and gaining tolerance, experiencing withdrawal symptoms, and decreased motivation for normal life activities. Last Door treats addiction for illegal drugs as well as prescription and over-the-counter drugs. In house practices like therapeutic duties, fundraising and outsourcing of select services keeps operating costs down; bringing savings to clients treatment fees. As well, Last Door Recovery Society is a registered non-profit charity able to receive tax deductible donations that subsidize our overhead. 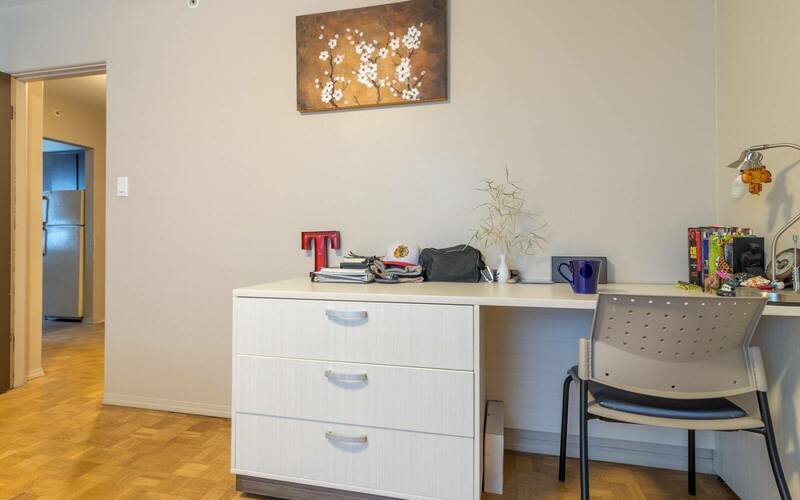 The quality of staff, accommodations, food and recovery makes us one of the best addictions treatment facilities in North America at an affordable price. Recovery at Last Door is a way of experiencing life. 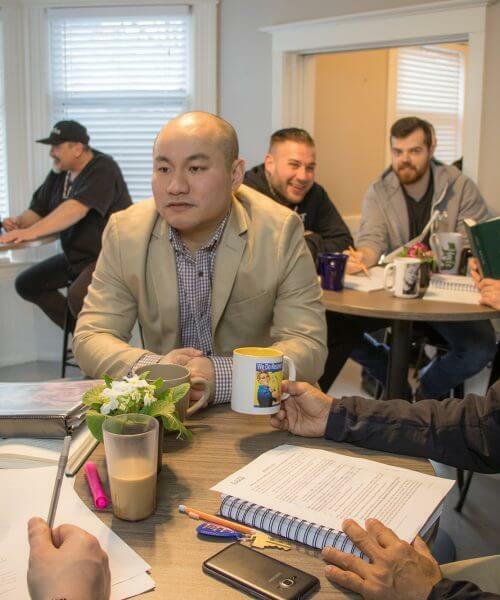 This “social” model program offers clients and their families an opportunity to experience recovery in an actual community. Recovery at Last Door is neither a destination nor a goal; it is about gaining a feeling of connectedness within a healthy community. It is about sharing and caring, about being part of something larger than oneself that gives both foundation and a sense of hope for the future. Last Door draws on the collective experience and energy of alumni, clients, their families and staff to forge a community that is conducive to creating a solid foundation for recovery. The Last Door Recovery community is vibrant and alive – with both giving to and taking happening between community members. Purpose and dignity are the building blocks for the self esteem that is so crucial to recovery – both flow abundantly within the community. Returning to work or school is important to our clients, they want to be ready to move on from their addiction. 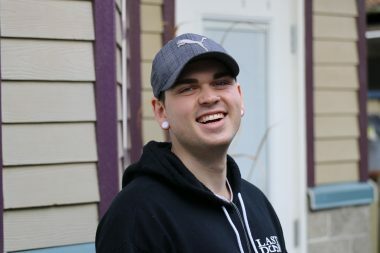 Following our Alumni of the Month Stories shows how clients get connected to a recovery community. Clients participate in over 15 hours a week of counseling sessions through group therapy, and have access to their case worker every day. Most importantly is the peer to peer support clients have at Last Door. We believe that anyone can loose the desire to use drugs, no matter how young or old, Last Door's programs can help. Our free consultation services can help guide you, your family to a healthier life style.